OrgChart is an easy-to-use and complete workforce planning and organizational charting application. Whether you are doing organizational design, gearing for growth, modelling merging organizations or just simply automating the company organization chart, this is the most powerful and versatile tool in its class. Create your charts in minutes. Drag-and-drop to draw charts - or - automatically create charts from Excel or any database. Then, powerful formatting tools enable you to color and format charts to give a beautiful visual of your company's organization, complete with photos. 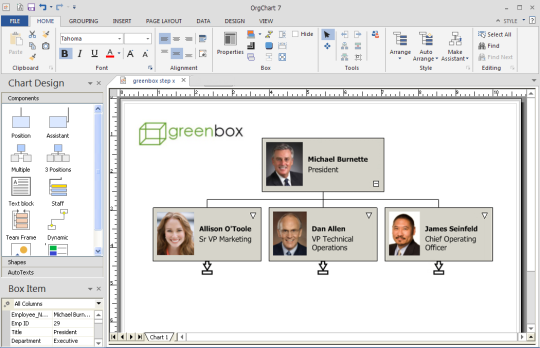 OrgChart Now integrates with Office365, SharePoint, OneDrive and DropBox. The SharePoint option gives you the ability to securely share your organization charts anywhere. You can even use OrgChart as a mini HR database to plan, track and analyze workforce data. Manage data such as employee performance, headcount, span of control, budget, job descriptions and more. Create custom calculations for workforce planning, talent management and company re-orgs. 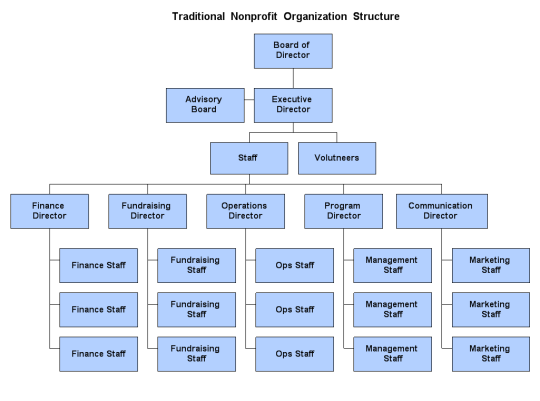 Publish your company's org charts to Microsoft Word, Excel, PowerPoint, or Interactive PDF. You can even publish the charts on your intranet portal using the HTML5 or Flash. If you decide to import data, OrgChart enables synchronization with data sources so you can quickly refresh your chart as input data changes. You can even schedule OrgChart to run automatically and update charts on a regular basis. Version 9.0: Beautiful, professional organization charts for workforce planning. Easy creation and update of your OrgCharts from your HR data. Provides analytics and modelling for any organization change initiative. Easily share org charts online, by interactive PDF or Microsoft Office. Modeling changes and "what-if" scenarios. Comprehensive workforce metrics. Dynamic reports by using various filtering options. - Dynamic Report Writer enables on-the-fly roll-ups of headcount and salary information. Now you have highly interactive access to the data that can be changed on-the-fly to suit any sort, summary, filter or calculation you wish. - Smart Fields - Perfect for succession planning. Smart fields are user defined chart fields that will create flags or indicators inside chart boxes such as a 9-Box graphic. - Auto Conditional Formatting - Automatic conditional formats allow you to instantly visualize the impact of changes as you modify your charts. - Intelligent Grouping - Easily combine boxes of the same Title into one. A great way to optimize space on the chart. Silent Mode Scheduled Update (Platinum Only) - New to v8 is the ability to configure and schedule silent update from a simple wizard in the program. Rather than configure a command line for a .bat and an .ini file, the silent update / command line mode is now easily configured within the program. - Integrates with SharePoint, Office365 and DropBox. Now you can create org charts by importing data from SharePoint, publish org charts securely to SharePoint, save or retrieve documents in OneDrive. 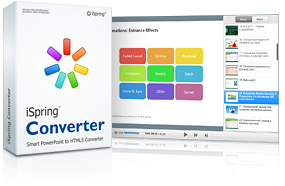 - Publish to web using HTML5. Now you can share charts on the web or company portal. - New intuitive UI that makes creating charts easier.